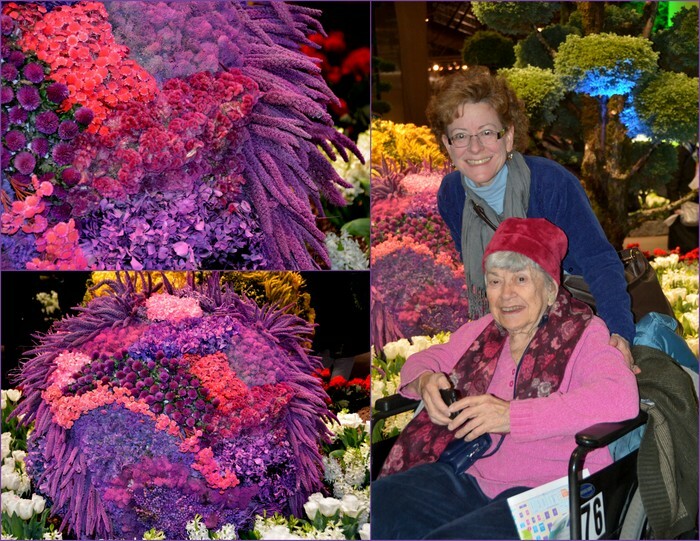 The 185th annual Philadelphia Flower Show (March 1-9, 2014) featured a different and colorful theme this year called ARTiculture. At first it wasn’t clear just what the floral designs were. They appeared to be giant petals hanging in a super-sized 30 x 50-foot picture frame surrounded by topiary sculpted trees. The mobile design was inspired by Philadelphia artist Alexander Calder. After looking up and reading more about Calder, I could better understand and appreciate what was being presented. Alexander “Sandy” Calder (1898-1976) not only designed mobiles, he was a painter, illustrator, printmaker and sculptor. His father and his grandfather were well-known sculptors too. His grandfather created over 250 sculptures in Philadelphia, including the 37-foot tall William Penn statue on City Hall and the three Native American statues in the Swann Memorial Fountain at Logan Square. Bandaloop - aerial dance troupe performers - hung from the ceiling and danced gracefully in the air. The dancers created a living canvas, adding even more dimension to the suspended art. 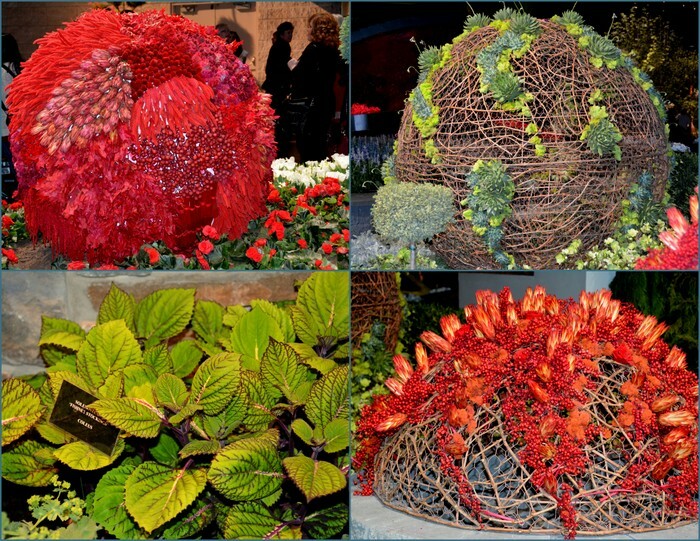 Many of the display areas featured round shapes filled with dried and fresh plant materials. This year I found no need to take notes on specific plants for my wish list. Many of the plants were familiar, such as green helleborus and coleus, Solenostemon 'Fishnet Stockings'. 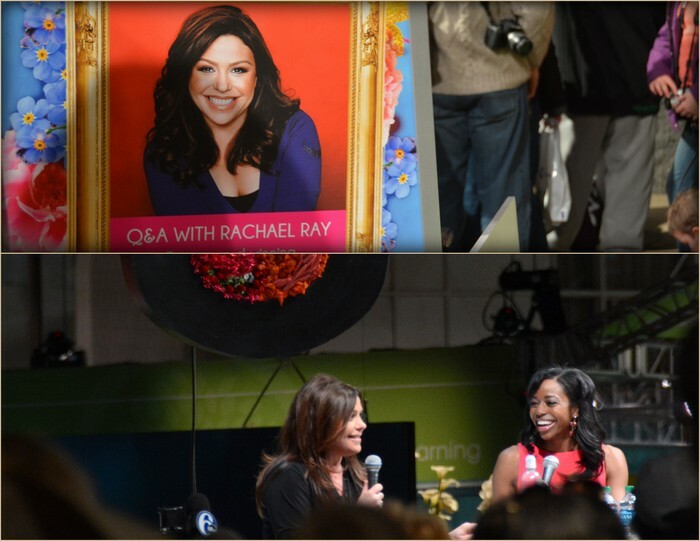 Crowds gathered round center stage on Friday afternoon to catch a glimpse of Rachel Ray during her interview with Melissa Magee from channel 6abc. 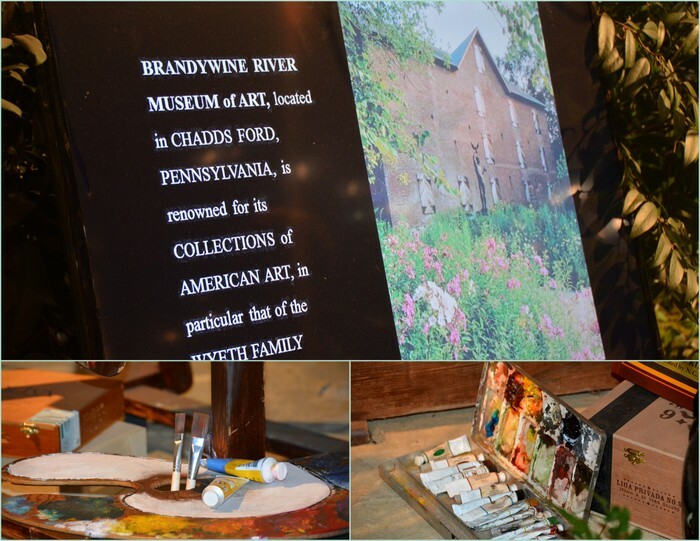 We were excited to visit the Brandywine River Museum of Chadds Ford, PA, who were among the 18 art museums who had partnered with the show. They featured three generations of Wyeth art. Stoney Bank Nurseries designed an award winning exhibit for them. 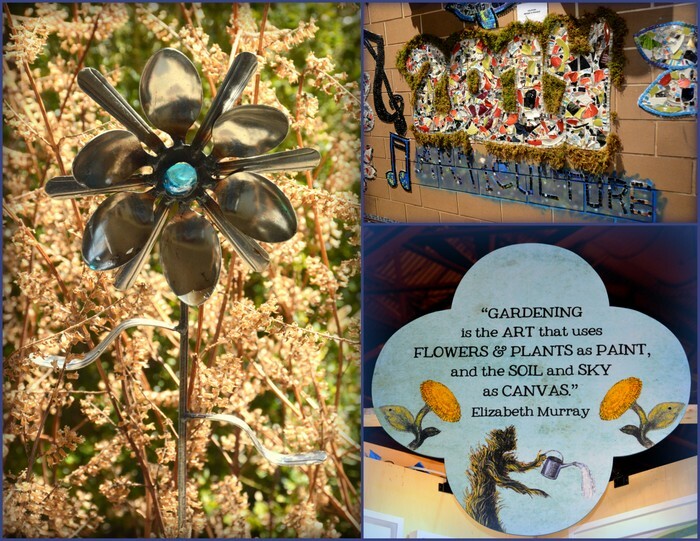 Congratulations on winning Best of Show: Landscape along with three other show awards! 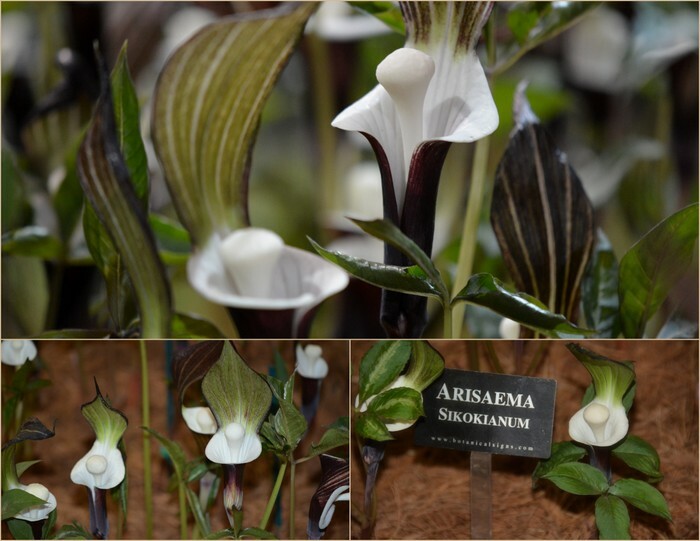 The intoxicating fragrance of Lilium Appleton lured us over to one of my long time wish list favorites, Arisaema Sikokianum, Japanese Jack-in-the-Pulpit. Being Jersey shore and Cape Cod fans, we thought the use of shells as plant markers was a creative touch. 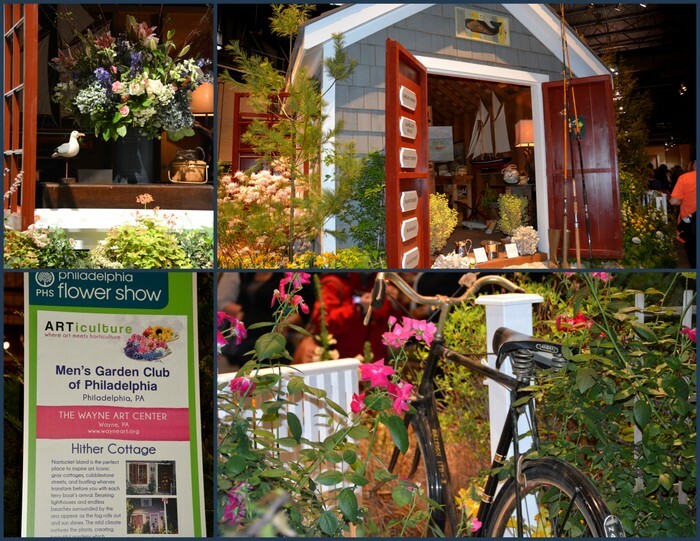 The cottage created by the Men's Garden Club of Philadelphia must have charmed the judges too. They won The Mayor's Trophy for innovative/unique design (Landscape: under 1,000 sq ft). On the way towards the retail shopping area we spotted a few veggie gardens. Something about seeing veggies is always a healthy inspiration to plan a garden. Families loved the creative bugs made of plant materials. Colorful Swiss Chard sure spells ARTiculture! With so many areas to visit, one can never see it all. We missed the butterfly experience and several exhibits. Next year we'll have to visit the "make and take" room to make fun, floral head pieces as souvenirs. Photos and blog post Copyright (C)2014 Wind. All rights reserved.